Back Bay Books, 9780316206280, 304pp. A trainer coaxes his beloved elephant onto a ship carrying him to a life of fame. A mother searches for her baby girl, sent away on a train headed west. A teenage soldier wrestles with his conscience far from home. 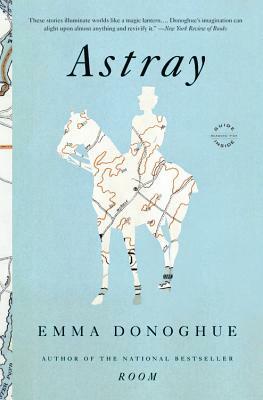 The fascinating characters who roam the pages of Emma Donoghue's stories have all gone astray. They are emigrants, runaways, drifters, gold miners and counterfeiters, attorneys and slaves. They cross countless borders. They travel for love or money, incognito or under duress. The celebrated author of Room transports us from Puritan Massachusetts to Revolutionary-era New Jersey, from antebellum Louisiana to a highway in Toronto, lighting up four centuries of wanderings that have profound echoes in the present and offering us a moving meditation on restless times. Born in Dublin in 1969, Emma Donoghue is an Irish emigrant twice over: she spent eight years in Cambridge, England, doing a PhD in eighteenth-century literature before moving to London, Ontario, where she lives with her partner and their two children. She also migrates between genres, writing literary history, biography, and stage and radio plays, as well as fairy tales and short stories. She is best known for her novels, which range from the historical (Slammerkin, Life Mask, The Sealed Letter) to the contemporary (Stir-Fry, Hood, Landing). Her international bestseller Room was a New York Times Best Book of 2010 and a finalist for the Man Booker, Commonwealth, and Orange Prizes. "The Hunt" (from ASTRAY) has been short-listed for the Sunday Times EFG Private Bank Short Story Award, the world's most valuable short story prize.